The occupants of one car would be dead while those in the other would walk out unscathed. Ever since the famous Insurance Institute for Highway Safety crash test of a 1959 Chevrolet Bel Air and a modern 2009 Chevy Malibu took place, outlining how far safety technology had advanced in the agency’s 50 years of operation, investigating how older vehicles fare when rammed against modern cars that meet current safety regulations has become a bit of a past time, even if it's only to satisfy curiosity. Many older cars seem to have more robust exterior materials, lending to the notion that they’re safer. This, however, is simply not the case as a crash test between a Mexican Nissan Tsuru, which hasn't been redesigned since the 90s, and a plastic-faced 2016 Nissan Versa goes to show. In the video, the older Tsuru being virtually demolished during the accident and we quickly learn that looks are certainly deceiving. It seems like that’s the same thing the Australasian New Car Assessment Program (ANCAP) is out to prove with two Toyota Corollas. 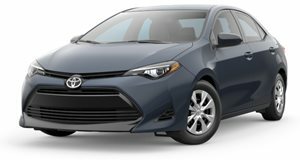 The organization gives a harrowing warning message, claiming that occupants are twice as likely to die in a crash when inside a car built prior to 2000 than in a new car, and then proceeds to show us what it means by crashing a 1998 Toyota Corolla into its 2015 descendant. The results speak for themselves. Stella Stocks, AA Motoring Series General Manager, goes on to explain that the discrepancies arise because the newer car has a sturdier structure as well as safety features like airbags, all in the name of keeping those crash test dummies safe and sound. Seems like the work has paid off.